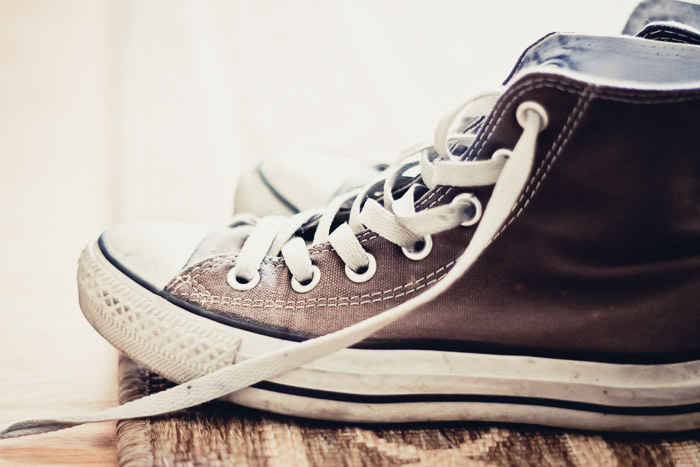 I had my doubts about posting a pair of dirty Converse,... though they may not be very pretty or characteristically chic, they are a staple in many Parisian/European wardrobes (sitting comfortably beside dainty Repettos and Tropeziennes). This particular pair belongs to my friend, Florence, who visited the States last week from Paris (she's the one puzzled by large sneakers worn by cutely outfitted NYC women. 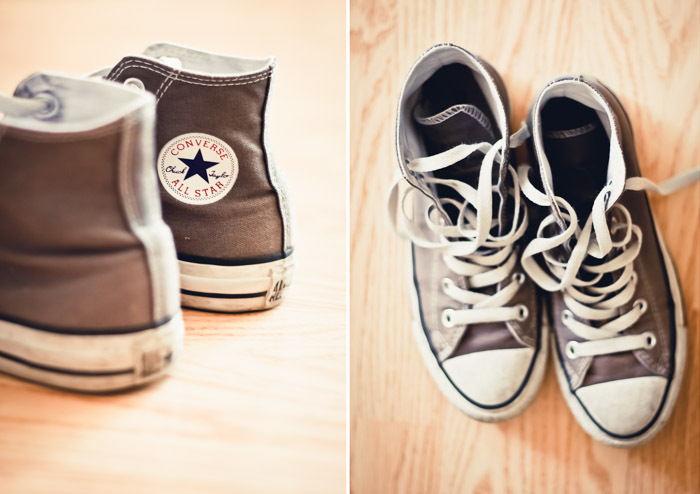 Obviously Converse don't fall into that category). p.s. 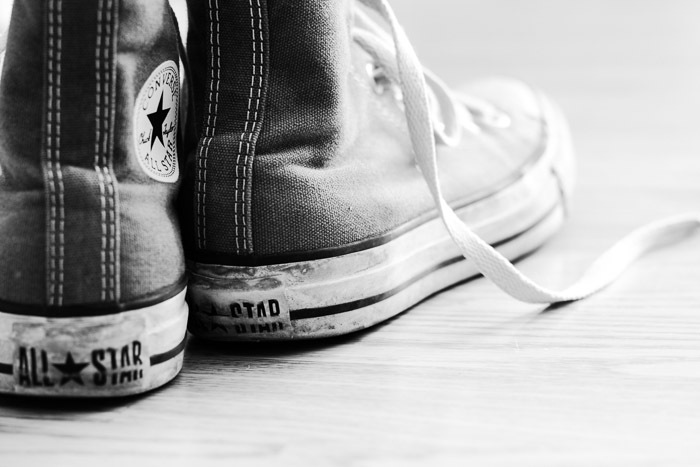 This is not a personal or paid endorsement for Converse. Cute title, Catherine! I always think about the Paris dirt that is left of my shoes when I come home. It almost seems a shame to remove authentic traces of Paris when I treasure everything about the city. Although I know Converse would be so much more comfortable for strolling in Paris, I still can't bring myself to wear them in such a chic city. This year's footwear of choice was a pair of riding boots that were comfy and stylish - great for my trips in January and March. While those Repettos are always-lovely, I love the look of this pair and the rich personal "history" they hold for you - not to mention they are a classic shoe, period (and loving the pun on words in your title:) Comfort is foremost:) I'm thinking maybe some classic Bensimons might also be comfy for all those urban adventures! Guess it's my incurable desire to reflect on the past (and dirt for goodness sakes! :) Bensimons are a wonderful suggestion/alternative for comfortable shoes Lulu! They're so cute, but alas when I tried them on, my too wide feet cramped their style ;) Thank you for the title love! Great title, Catherine! 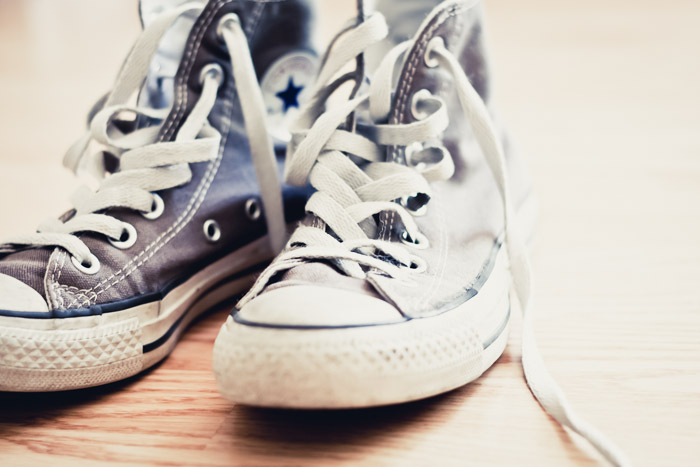 Converse seem to have taken over the Parisian streets these days - it is funny to see how "old" fashion items keep coming back in the spotlight. It is an eternal "recommencement"! Just the other night, I went out carrying one of my grandma's clutches... Another example of a successful come-back!